I am bound by the ethics of the BACP and the FPC and can make available upon request copies of their code of ethics and complaints and grievance procedures. I am committed to ongoing professional development to ensure my clinical practice reflects developments in thinking. I have regular clinical supervision. I have full-cover professional indemnity insurance. The therapeutic relationship is unlike any other and you may find yourself telling me things you have never told another person. Everything you tell me - in person, by telephone, or by email - will remain confidential. If I were to consult with a senior colleague your confidentiality would be maintained at all times. I am a psychodynamic counsellor. In this type of counseling the counsellor and client work together to explore and understand your difficulties through a series of regular and reliable sessions. In these sessions you would have the space to talk about whatever feels most urgent. As you talk and I listen, we would pay particular attention to the way your past experiences have affected you in the present and think about how you relate to yourself and others. This way of talking to another person may feel strange at first but over time it usually becomes easier. I would not give you advice but instead help you reach a better understanding of yourself and your difficulties so that you might find different ways of coping with them. I see people for short-term focussed work and for longer-term open-ended work depending on your needs. We would discuss this at our initial meeting. 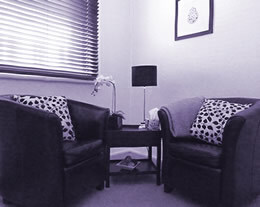 Once you make contact, we will arrange one or two meetings which to give us an opportunity to explore your needs and expectations and whether psychodynamic psychotherapy might be useful to you. These meetings would last 50 minutes and cost £70 each. After reflection, if we decide to work together I will offer you a regular 50 minute appointment at the same time on the same day each week. If, however, you or I feel I am not the right therapist for you I will refer you to someone who might be. The relationship with your therapist is the most important aspect of any therapy. While there can be no guarantee that therapy will help, the latest research undertaken in America The Efficacy of Psychodynamic Therapy (pdf) by J Shedler, shows that it probably will. The research found that psychodynamic therapy is effective not only in relieving symptoms of, eg depression and anxiety, during treatment but that people continue to improve once their therapy has ended. I did my professional training at WPF Therapy, a leading counselling and psychotherapy training organisation in the UK, which is accredited by both BACP (British Association of Counselling and Psychotherapy) and UKCP (United Kingdom Council for Psychotherapy). WPF places great emphasis not only on a candidate's theoretical knowledge but perhaps more importantly on their clinical work and insight gained from personal therapy. I hold an Advanced Diploma in Psychodynamic Counselling and Psychotherapy and a Post-Graduate Diploma in Psychodynamic Studies from Roehampton University. I am a member of The Foundation for Psychotherapy and Counselling (FPC), and am a member of BACP, the UK's largest professional body for counsellors and psychotherapists which ensures its members are appropriately trained and registered. I addition to private practice I teach counselling and therapy at WPF Therapy and work in the voluntary sector running workshops on therapeutic parenting for parents and carers of fostered and adopted children.